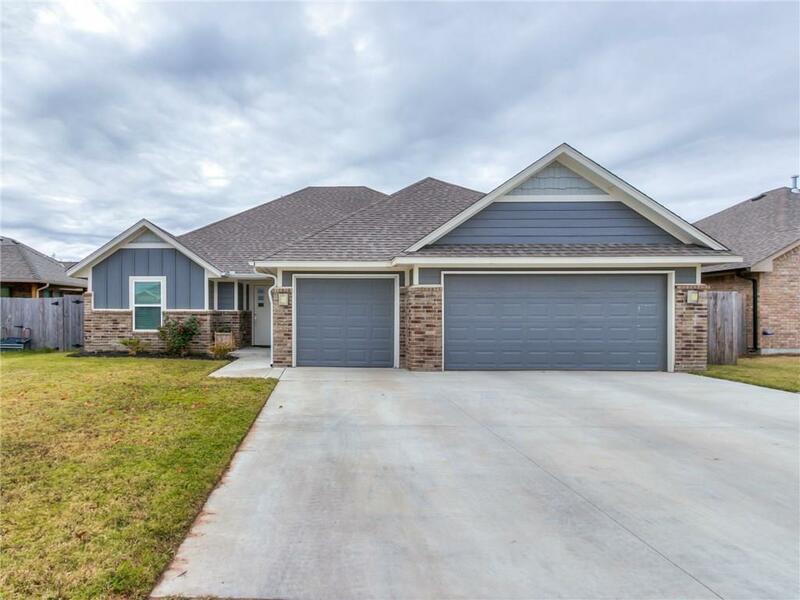 Precious 4 bed 2 bath home in Moore School district! Large open floor plan, lots of natural light throughout. Built in corner fireplace in the living room. Large island with a breakfast bar, Recessed lighting, granite countertops, and stainless steel sink in the gourmet kitchen. Ceiling fans in the spacious bedrooms. His and her sinks, granite countertops, walk in closet, and a full shower in the master bath. Huge mudroom with gorgeous shiplap walls and separate laundry room. Covered patio with a fully fenced yard. Close to shopping centers, entertainment, and highways. Welcome home!